The Korean Demilitarized Zone is a strange place. 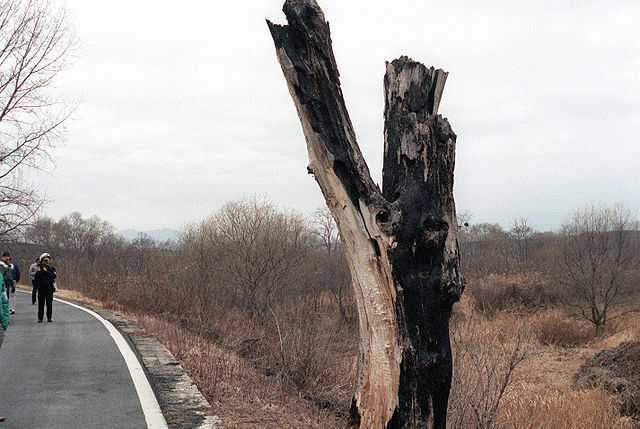 In 2008 I was a tourist visiting the peninsula, and I learned about one of the strangest incidents in the DMZ’s history. It was something straight out of a slasher movie, and has gone down in history as The Axe Murder Incident. 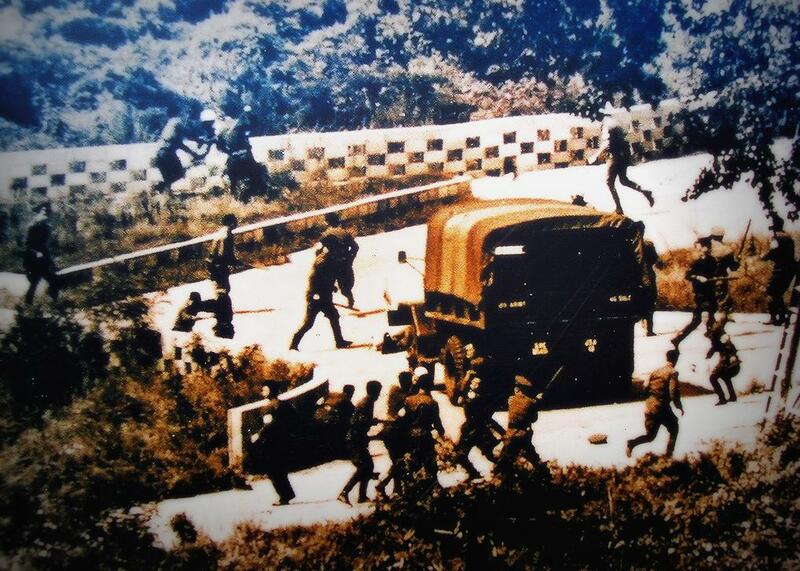 Footage of a DMZ tour. I did not take this footage, but the tour shown here is very similar to the one I went on. A photograph of the fight itself. While the picture is old and blurry, it does portray fatal violence, so I felt it would have been in poor taste to put it directly on the sight. An article about the Soviet defector who ran across the DMZ, mentioned briefly at the end of the episode.